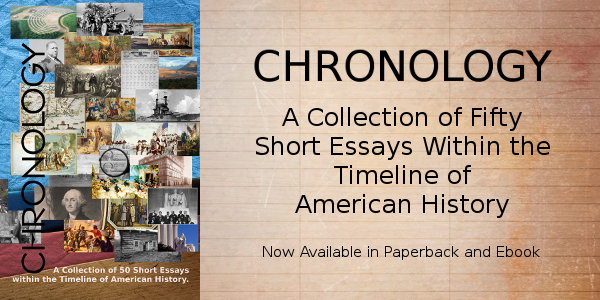 Conflict comes to the entire world as the United States is drawn into the first World War against a foe that would not go away for thirty years, Germany. One million American soldiers would fight in that war. Photo above: World War I. Courtesy National Archives. 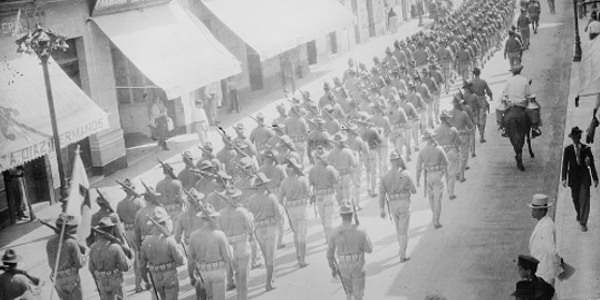 Right: United States troops entering Veracruz, Mexico on April 21, 1914, remaining in occupation until November. Photo courtesy Library of Congress. February 8, 1910 - The Boy Scouts of America is founded. April 15, 1910 - In census of 1910 counted a United States population of 92,228,496. The 21% increase since the last census was the same rate of increase that had occurred during the previous decade. The center of the United States population was now within the city confines of Bloomington, Indiana. May 11, 1910 - The start of American domestic tourism occurs with the establishment of Glacier National Park in Montana. Spurred by the development of the Great Northern Railroad, this park helped begin the See America First campaign to encourage United States tourists before and during World War I to visit the western states and territories. May 16, 1910 - The United States Bureau of Mines is authorized by an act of the United States Congress. May 25, 1910 - The only flight taken together by Wilbur and Orville Wright occurs at Huffman Prairie Flying Field in Dayton, Ohio. Later that same year, on November 7, the first flight to carry freight would depart from Huffman and deliver its cargo to Columbus, Ohio. January 18, 1911 - In San Francisco harbor, Eugene B. Ely lands his plane on the deck of the USS Pennsylvania for the first landing of a plane on a ship. May 15, 1911 - Standard Oil is declared an unreasonable monopoly by the United States Supreme Court and ordered dissolved under the powers of the Sherman Antitrust Act. May 30, 1911 - The Indianapolis 500 auto race is run for the first time in Indianapolis, Indiana. The race is won by Ray Harroun in the Marmon Wasp. August 8, 1911 - The law establishing the number of United States representatives at 435 is passed. It would go into effect in 1913 after the 1912 elections. September 17, 1911 - Technology moves forward. The first transcontinental airline flight was begun in New York by C.P. Rodgers. It would complete its journey to Pasadena, California after numerous stops and 82 hours and 4 minutes in the air on November 5. On October 10, Henry Ford patents the Automotive Transmission, Patent #1,005,186. March 12, 1912 - The American Girl Guides, renamed the Girl Scouts one year later, is formed in Savannah, Georgia. April 20, 1912 - Fenway Park in Boston opens. June 6, 1912 - Mount Katmai in southwest Alaska erupts in one of the largest recorded volcanic expulsions in the history of the world. It was designated Katmai National Monument in 1918 as protection against future eruptions. August 14, 1912 - The United States Marines are sent to action in Nicaragua due to its default on loans to the United States and its European allies. November 5, 1912 - In the first election of a Democratic candidate since 1892, Woodrow Wilson overcame a three way race for the presidency when former President Teddy Roosevelt donned the nomination of the Progressive Party to tackle the election against Wilson and incumbent President and Republican William Howard Taft. This split caused the election of Wilson, who garnered 435 Electoral College votes to 88 for Roosevelt and only 8 for Taft. February 1, 1913 - Grand Central Terminal, the world's largest rail terminal, opens in New York City. It is the third station on that site; the original depot built in 1871 and upgraded in 1900. February 3, 1913 - The 16th Amendment to the United States Constitution is ratified, allowing the Federal government treasury to impose an income tax. 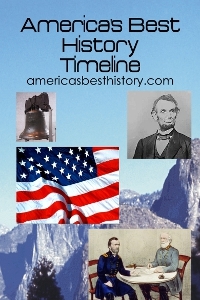 The 17th Amendment would be passed on April 8, which set the policy for direct election of U.S. Senators. July 3, 1913 - The 50th Anniversary of the Battle of Gettysburg commemorates the Civil War battle. It draws thousands of remaining veterans of the battle and their families to the site of the Gettysburg Address and the northernmost battle of the war. October 10, 1913 - The construction of the Panama Canal comes to a close when President Woodrow Wilson begins the explosion of the Gamboa Dike. December 1, 1913 - The first moving assembly line is introduced and adopted for mass production by the Ford Motor Company, allowing automobile construction time to decrease by almost 10 hours per vehicle. December 23, 1913 - A major reform of the American financial and banking system occurs with the authorization of the U.S. Congress for the establishment of the Federal Reserve System. January 5, 1914 - Basic wage rates are increased by Ford Motor Company. Workers now would receive $5 per day for eight hours of work versus $2.40 per day for nine hours previously. April 20, 1914 - Ludlow, Colorado Coalfield Massacre occurs when the Colorado National Guard attacked a tent colony of one thousand two hundred striking miners, killing twenty-four. 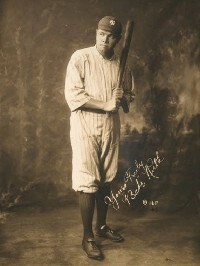 July 11, 1914 - Babe Ruth makes his major league debut. August 4, 1914 - President Woodrow Wilson announces that the United States will stay officially neutral in the European conflict that would become World War I. World War I hostilities had begun on June 28 when the Archduke of Austria and his wife, Franz Ferdinand and Sophie were killed by a Serb nationalist in Sarajevo. Hostilities would begin on July 28 when Austro-Hungary declared war on Serbia for failing to meet conditions set after the assassinations. November 3, 1914 - New York socialite Mary Phelps Jacob patents the Brassiere in the United States, which she had invented one year earlier. January 25, 1915 - Alexander Graham Bell and Thomas A. Watson conduct the first telephone conversation between New York and San Francisco. January 26, 1915 - The establishment of Rocky Mountain National Park, containing majestic mountain spires rising 14,000 feet within the Colorado Rockies is signed into law by President Woodrow Wilson after legislation was passed in the U.S. Congress. Later that same year, on November 30, Wilson would also designate the site of Pueblo Indian cliff dwellings, dating back to the year 1200, as Walnut Canyon National Monument, in Arizona. January 28, 1915 - The United States Coast Guard is established, replacing the responsibilities formerly entailed within the services and stations of the U.S. Life-Saving Services. February 20, 1915 - The Panama-Pacific International Exposition in San Francisco opens, signaling the rebirth of the city after the destruction of the 1906 Earthquake and fire, with the theme on the opening of the Panama Canal. Forty nations and colonies would exhibit on its 625 acres, despite the tensions that existed due to the start of World War I. 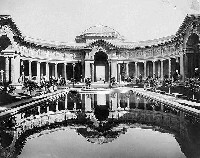 The 1915 San Francisco World's Fair remains one of the most spectacular events in world expo history, lasting 288 days, and hosting over 13 million visitors. June 15, 1915 - At graduation ceremonies of the United States Military Academy, future general and president Dwight D. Eisenhower is commissioned into the army as a 2nd Lieutenant. May 7, 1915 - The British ship Lusitania is sunk by a German U-boat submarine, causing 128 American passengers to be lost. Germany, although it warned of the pending crises to passengers, issued an apology to the United States and promised payments. March 8-9 - Pancho Villa raids Columbus, New Mexico and other border towns along the Mexican and United States lines with 1,500 troops, that would lead, on March 16, to General John J. Pershing entering Mexico in pursuit of Villa with the 7th and 10th U.S. cavalry. Wilson had authorized 12,000 troops to cross the border one day earlier. July 17, 1916 - Financial aid to farmers is awarded by the passage of the Rural Credits Act. These payments would be further strengthened with the passage of a second bill, the Warehouse Act, on August 11. August 4, 1916 - The United States purchases the Virgin Islands from Denmark for $25 million and would take possession of the islands on March 31 of the next year. August 25, 1916 - The National Park Service is officially created when President Woodrow Wilson signed legislation from Congress with the mission to protect and preserve the natural lands, historic sites, and wildlife of the system for future generations. November 7, 1916 - Woodrow Wilson won a second term as President with his election in the Electoral College, 277 to 254 over Republican candidate Charles E. Hughes. February 3, 1917 - The United States government cuts diplomatic ties with Germany. The Zimmermann Telegram is given to the United States by Britain on February 24, showing the offer by Germany to give Mexico back the southwest United States if they would declare war on the United States. March 11, 1917 - The United States recognizes the government of elected Mexican president Venustiano Carranza. April 6, 1917 - Four days after receiving the request from President Woodrow Wilson, the United States Congress declares war on Germany and join the allies in World War I.
June 26, 1917 - The first troops from the United States arrive in Europe to assist European allies in World War I. Troops engaged in World War I would include conscript soldiers authorized by the passage of the Conscription Act, the Selective Services Act, on May 18, 1917. General John Pershing would be placed in command of the American Expeditionary Forces during the campaign. December 18, 1917 - The 18th Amendment, advocating prohibition of alcoholic beverages throughout the United States, is sent to the states for passage by the United States Congress. March 19, 1918 - Time zones are officially established by an act of the United States Congress with daylight savings time to go into effect on March 31. May 15, 1918 - Airmail service is begun by the United States Post Office Department with regular service between New York, Philadelphia, and Washington. July 1918 - By the middle of 1918, the United States military forces had over one million troops in Europe fighting in World War I.
August 1918 - The influenza epidemic Spanish flu spans the globe, killing over twenty million worldwide and five hundred and forty-eight thousand people in the United States. November 11, 1918 - Hostilities in World War I begin to end with the Austria-Hungary alliance for armistice with the allies on November 3. Armistice Day with Germany occurs when the Allies and the German nation sign an agreement in Compiegne, France. Woodrow Wilson would become the first U.S. President to travel to Europe while in office when he sails to attend the Paris Peace Conference on December 4. January 16, 1919 - With the state of Nevada becoming the 36th state to ratify the 18th Amendment to the Constitution, prohibition becomes the law of the land. It would remain illegal to consume and sell alcoholic beverages in the United States until passage of the 21st Amendment, repealing the 18th, on December 5, 1933. February 26, 1919 - The first natural lands east of the Mississippi River are established as a national park in legislation signed into law by President Woodrow Wilson. The area, known as Lafayette National Park in Maine is located at Mount Desert Island and known since 1929 as Acadia National Park. May 8, 1919 - A United States navy seaplane begins the first transatlantic flight, making stops in Newfoundland and the Azores before touching ground in continental Europe in Lisbon, Portugal on May 27. June 28, 1919 - The Treaty of Versailles is signed, ending World War I.
October 9, 1919 - In the first major scandal in Major League Baseball, and to this day, the worst, nine players from the Chicago White Sox throw the World Series to the Cincinnati Reds. It is forever known as the Black Sox Scandal with players, such as immortal Shoeless Joe Jackson, banned from the game and Hall of Fame forever. Two man tank manufactured for the United States by Ford for World War I, 1918. Photo: War Department. For travelers over the age of 62, the America the Beautiful Senior Pass, a $10 lifetime pass for admission to National Parks & Monuments, such as Acadia National Park, may be the best travel bargain available. Ask for it at the next National Park you visit. Panama Pacific International Exposition, held in San Francisco 1915, showing their recovery from the earthquake nine years before. Courtesy Library of Congress.